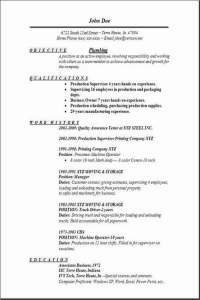 You found your free formatted resume here, so tell all your friends too by e-mailing this page to them. They will appreciate your help. To download--always click save--save to your Desktop-- using same exact file name. Most items I download I put on the desktop for an easy find later when I want to edit it. Then I will put it in a folder after I am completely done with it. This is one of my favorite resume formats I created for use myself and I am sure it will work for you just as well. They have a nice clean design. They have no clutter and get straight to the point. They all make the information profoundly stand out, so that hiring manager looking at your resume doesn't have to work to hard looking for the information they need quickly. After all, I know that is why you are at this website, and you came to the right place this time. 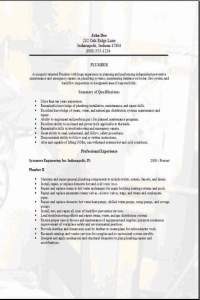 So start today editing this plumber resume, your job will be complete and what a relief it will be. I know you find these examples useful. I also hope you get the job. Don't forget to tell your friends about this free website. The resume above has a new addition that is the background picture. I hope you like the effect on number 3. Some people like background effects, I know I do. If you decide on downloading the plumbing resume with the background effect, you can always play around with it by adding your own picture to change it up and then compare them. Drop me a comment back on the contact us page and let me know how things went with the interview. I like to hear your comments. I created this website to help people obtain a great cover letter and resume to use in their search for employment and to land that job. Why? Because it is something I can do to help people. If you feel you have come away from this site, with some useful documents, then tell your buddies or bookmark this website. Your friends will appreciate your help. Good luck.